“What would you call such an animal?”, asked someone at work about a future new hire in our engineering team. A rather artsy discussion ensued – working with a bunch of creative people across art and technology disciplines often sparks fun conversations. 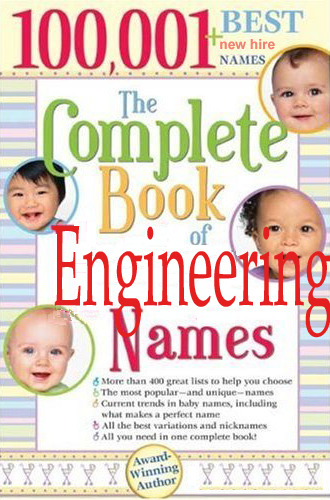 Next thing you know I am reading rickwebb’s tumble on engineering titles. I see Rick occasionally, but he’s now in another time zone! How is he reading my mind? I used to care about titles a whole lot more when working for a big company. “He’s a PUM!”, someone would say. At Microsoft the title structure was pretty rigid, especially in the entry levels: one would start as a Software Design Engineer (SDE) or a Software Design Engineer in Test (SDET) to maybe become a Development Lead and finally Development Manager. Some were Distinguished Engineers. There were also Product Managers, General Managers and, finally, Product Unit Managers. It mattered when connecting with individuals across such a large company and I’d always lookup someone’s reporting structure in the directory before a meeting. In a startup we’d like not to think about titles too much. So my creative colleagues are going wild offering new names. I watched this excellent presentation that compared Software Engineering with other Engineering disciplines. I don’t like to think about anyone on my team as “a pair of hands” or “a brain on a stick”. Software is a creative business that translates into both an artistic and a disciplined process. The word “Engineer” carries too much context around planning, architecting and thinking, while the word “Developer”, not enough. Are we a new breed of “Enginelopers”? There’s something romantic-sounding in the reverse combination of the two words. It evokes a bit of “Adventurer” and “Evangelist”. I think Rick’s advice is pretty good. My thinking now is that it’s best to acknowledge this early, and apply titles from the getgo, thus garnering the increased thanks from the employee when a title is given proactively, rather than when they’re one foot out the door and you offer it belatedly. […] Hire and title as if you are already at a 100 people, place them where they would belong based on their merits, and fill in the gaps later. But maybe you want to pitch in? How do you title your new Engineering hires? Enginelopers and Devengeers: How do You Title Engineering Hires? was published on July 25, 2011 . See a typo?